Being able to do outdoorsy weddings close to home is such a treat. The University of California Berkeley Botanical Gardens & Redwood Grove is gorgeous. And it's extra meaningful if you went to school there or are an East Bay local. Lia & Rainier are the cutest couple, I thought so when first meeting and photographing them while they were still dating. 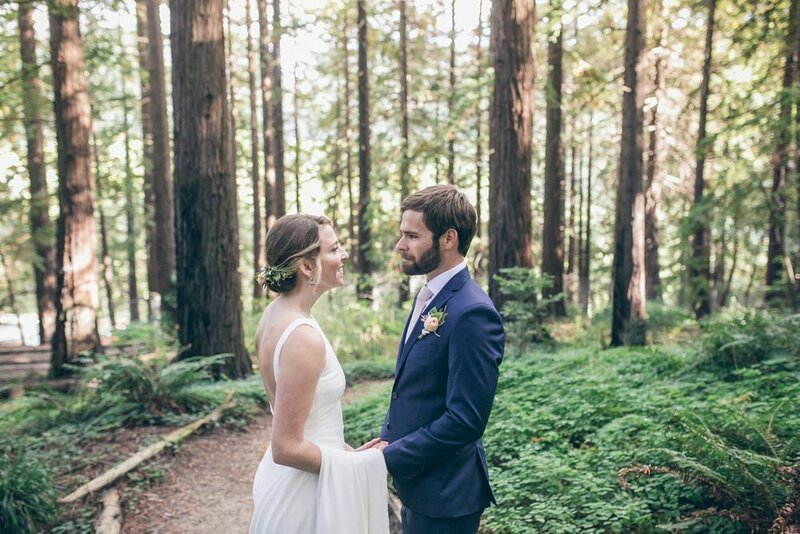 We shot at Steep Ravine cabins in Marin, the photos turned out so good, see them here. 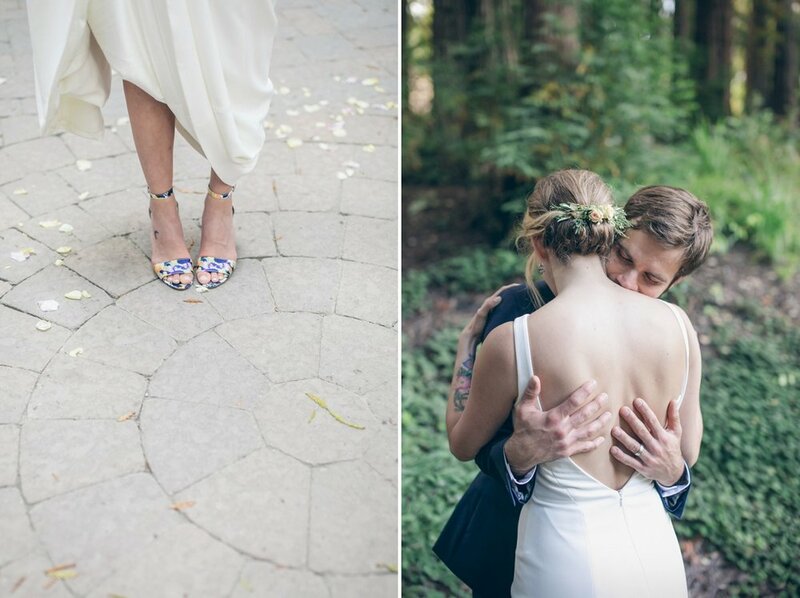 They met while living in a multi-roommate house in SF, how cute is that! Rainier is a pro cyclist & Lia is a black belt in martial arts. It would be fun to see these two athletes take each other down, ha. Lia was a jaw-dropping bride, so elegant. And those colorful heels, so fun. Rainier's wedding band is custom made with Mt. Rainer joining the Golden gate bride. It's the coolest men's band, I'll include a close up when I finish the whole wedding. I loved being their wedding photographer!